Images grab the attention of your readers and helps them understand the contents of your post. 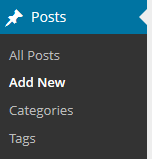 Directly above your post/page editor is your Add Media icon which you use to insert images, pictures, photos, photo galleries, videos, and audio files into your posts or pages. You can’t just use any image you like in a post or page. Unless stated otherwise, the law automatically grants full “copyright” over any creative work a person makes. Refer to The Educator’s Guide To Copyright, Fair Use, And Creative Commons to learn more. 2. 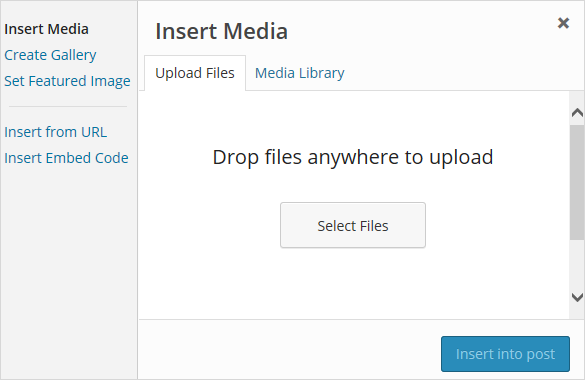 Place your cursor where you want the image to appear and then click on the Add Media icon. 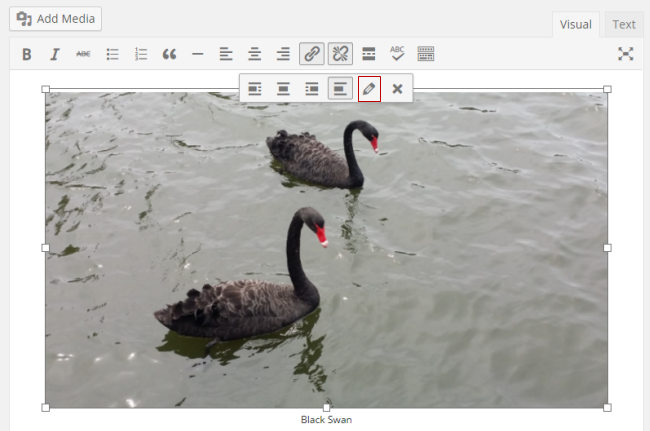 Use your Shift or Crtl key to select more than one image. 4. Click Open to start uploading the images. 5. While your images are uploading you will see a progress bar. 6. 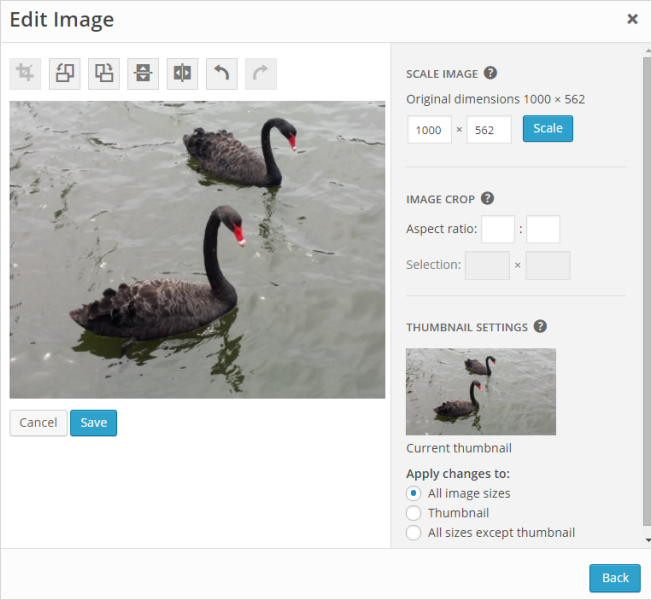 If you upload more than one image you click once on an image to edit its attachment details. Alt Text: The text displayed when the image is not available. Important for accessibility. Description: Displayed on the image attachment page. Alignment: The position of the image in your post or page. Options are: None; Left, Center or Right. None – removes link completely. Media File – links the image to its original full size version. 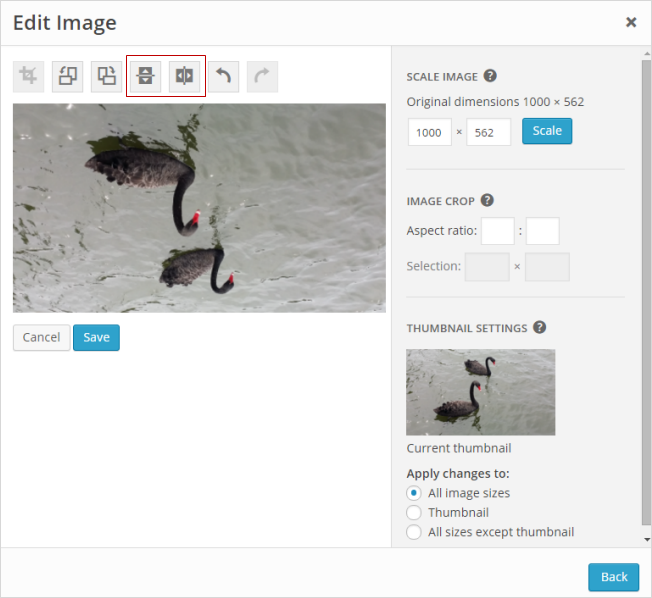 Custom URL – allows you to link image to custom URL. For example, handy if you want to link an image to another website. Size: – the size of the image. Choices are thumbnail, medium, large and full size. 7. Click Insert into Post once you’ve edited the image attachment details. 8. Your Add Media window will close and your image should appear in your post. 4. 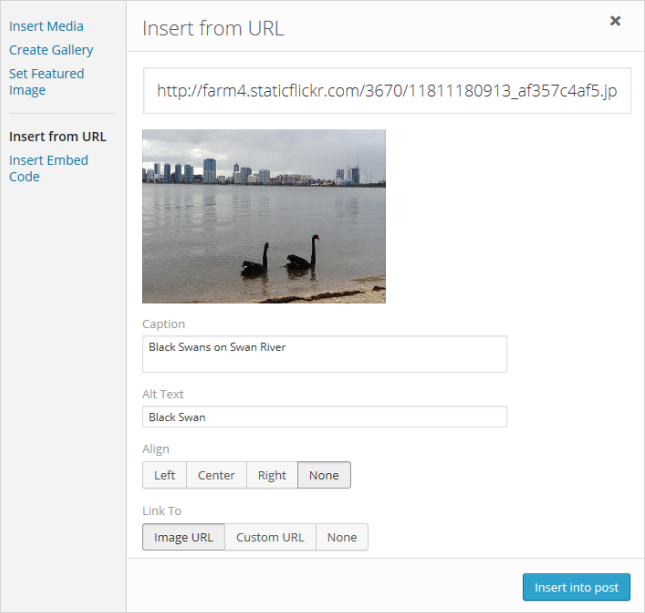 Paste the image URL and choose your image display options then click Insert into Post. 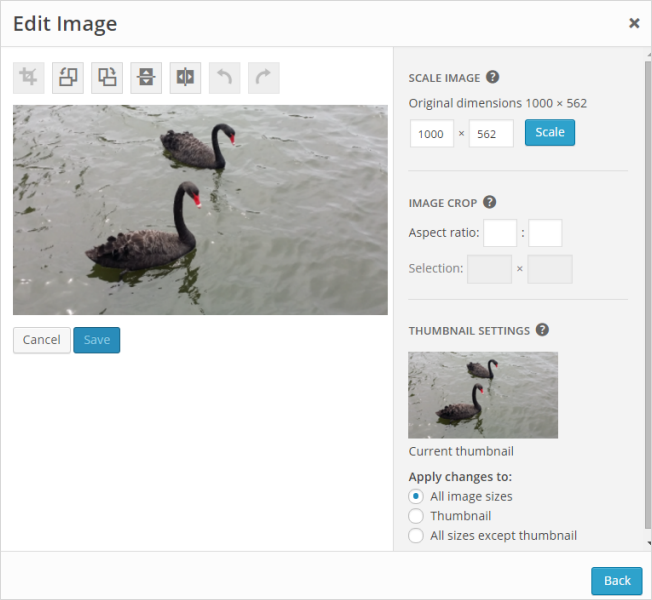 You can find the image location of images on the Internet by right clicking on the image and select Copy image location. Please refer to The Educator’s Guide To Copyright, Fair Use, And Creative Commons to learn about using images from the internet. Image URL – links to the location of the image on the original website. None – removes image link completely. 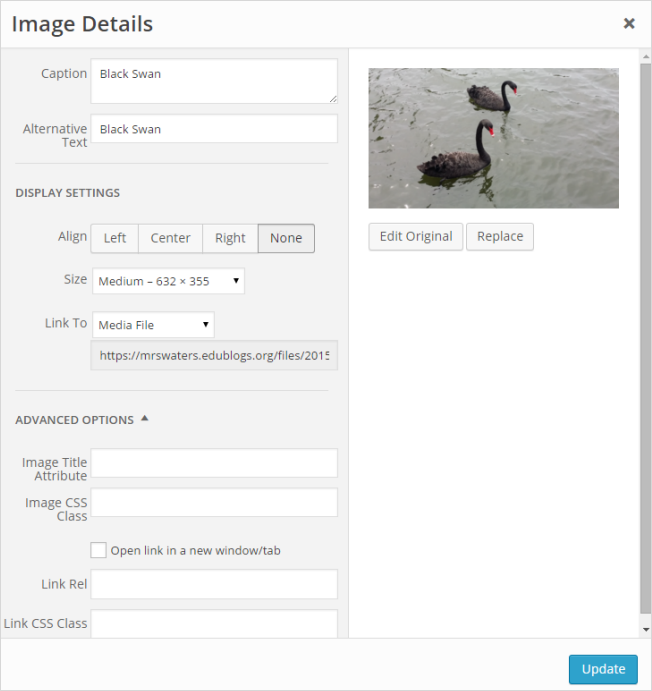 Custom URL – allows you to link the image to custom URL, For example, handy if you want to link an image to another website. 4. Your Add Media window will close and your image should appear in your post. 4. Locate the image and then click once on the image you want to add. 5. 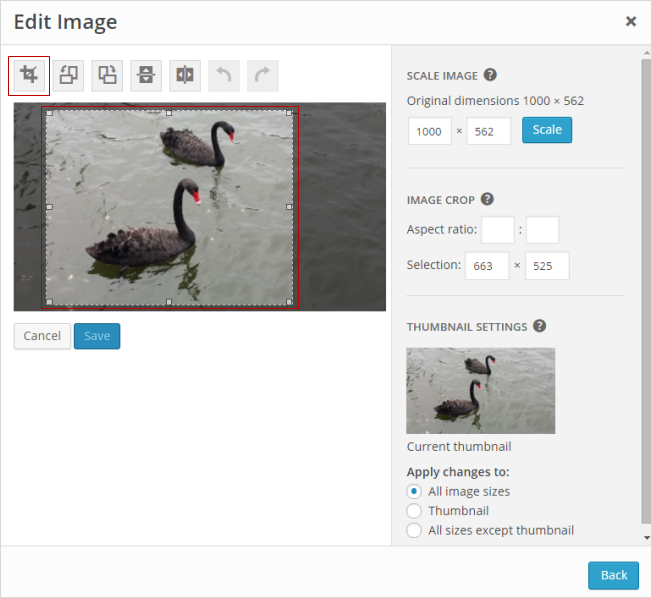 Edit the image attachment details. Media File – links the image to its original full-size version. Size: The size of the image. Choices are thumbnail, medium, large and full size. 6. Click Insert into Post once you’ve edited the image attachment details. 7. Your Add Media window will close and your image should appear in your post. 1. Click on the image and then click on the Edit Image icon that appears. Align – used to align the image left, center, right or none. Size – Change size using the preset size options or use the custom size to specify the new size. Link to – You can link the image to its image URL, link it to any URL (handy if you want to link an image to a website) or have no link URL (used if you don’t want readers to be redirected to another page when they click on an image). CSS Class – The CSS classes that will be added to the image given the current settings. You can override this as appropriate. Link Relative – The link’s rel attribute, for adding nofollow amongst other things. Link CSS Class – CSS class applied to the link. Target – Select whether the link should open in a new window or the same window. 3. Click on Edit Original to edit the image. 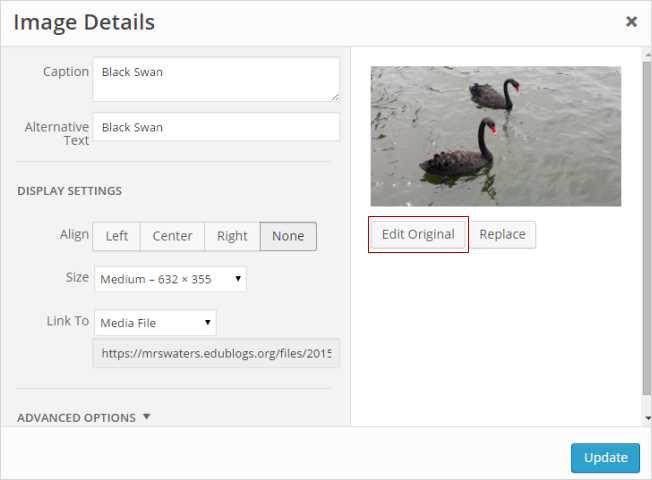 Your editing options are: crop, rotate, flip and resize. 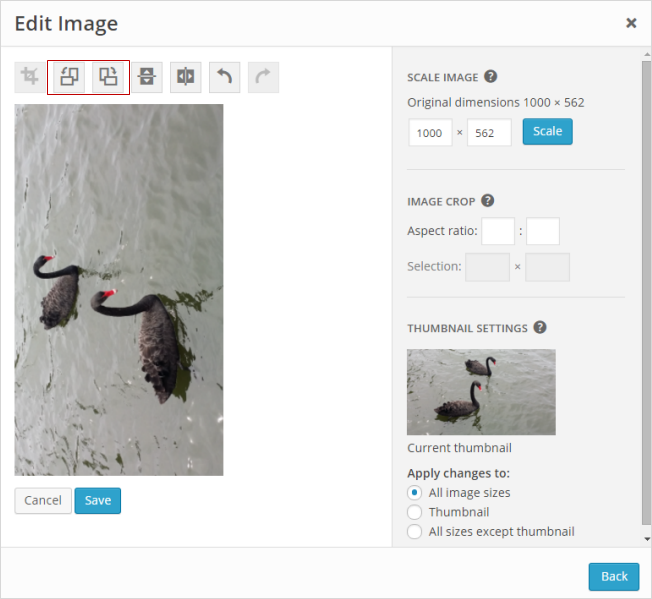 Cropping is used to remove unwanted portions of an image that you have uploaded. Click and frag with your mouse to select the area of the image you want to keep and then click on the Crop button once you are happy with your selection. This displays your new image. Click Save if you are happy with the cropped image or Cancel to try again. Once you’ve finished you must click Save on the cropped image to save the new image. The rotate icons are used to rotate the image clockwise or counter-clockwise. Click Save if you are happy with the rotated image or Cancel to try again. The Flip icons are used to flip the image vertically or horizontally. Click Save if you are happy with the flipped image or Cancel to try again.